My name is Claice Jackson and I co-teach 10th grade geometry at a charter high school in our Nation’s Capital. Working for Enriched has definitely been the launching pad for my career in D.C. education. After graduating from Howard with a bachelor’s degree in history, I wanted to explore other content areas, and Enriched was the means for me to do so. I started with a long-term role in Algebra II and as a result of my ability to create a positive learning environment, was offered additional opportunities to teach Algebra I and Music Composition (another passion of mine) at that same school. Working with Enriched, gave me the real-world teaching experience necessary to take the next step to teach full-time. 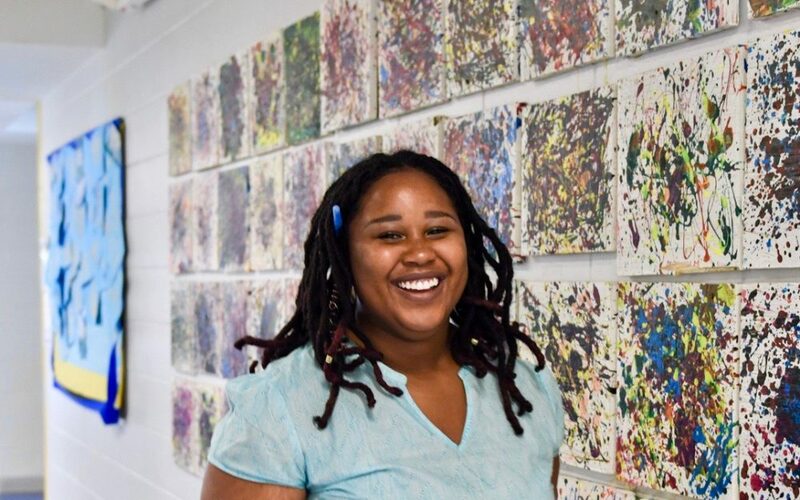 I applied and was selected to Urban Teachers four-year teacher residency program where I’m currently pursuing a master’s degree in education from Johns Hopkins University and earning my initial teaching credential in secondary mathematics. I know that all students are capable of being academically successful — regardless of their circumstances at home or school. It takes a person who is willing to be patient and go above the standard requirements of a teacher to help some students realize their potential. If there is a student that I’m having difficulty reaching, I do the research to find the resources available to help the student. With enough determination on my part, I’ve found that any student is capable of learning in their own way and becoming academically successful. Education is the most important investment a person can make in themselves and, in turn, contribute to the overall well-being of our youth, our society and our community. I am forever grateful to Enriched for the opportunity they provided for me to get in the classroom and discover my passion.